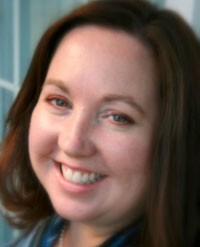 Lisa Loomis, MBA, is the Executive Director for Drama Kids of Eastside Seattle. Lisa brings over 20 years of education and drama experience and she has a real passion for making children feel encouraged and confident in themselves through drama. Lisa’s background includes a Masters degree in business combined with a Bachelors of Arts degree in Dramatic Arts and Interpersonal Communications. 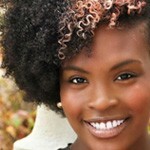 She also brings a variety of teaching and organizing experiences, including Professor of graduate courses through DeVry University, Teacher and Organizer of Summer Youth Drama Camp, Elementary Classroom Teaching Assistance, Teacher of Sunday School Programs, Director of Dramatic Arts Programs through a local church and more! Although Ms. Mary graduated from the University of Arizona with dual education degrees in liberal and fine arts, it wasn’t until early 2015 that joining Drama Kids enabled the merging of her two greatest passions: Drama and Teaching! Ms. Mary is an avid proponent of providing fine arts exposure and experience to the youth of our increasingly-digital world. She feels that sound social and cultural development necessitates “unplugging” from the cycle of constant input! Through drama “play,” we encourage our children to explore and express themselves in real time, fostering genuine social interactions. Ms. Mary is grateful that Drama Kids can provide such opportunities, despite diminished political and financial support of the arts. Her passion for “all things Drama” doesn’t cease at the close of the school week: you will often see Ms. Mary working at or performing for various theaters in the Puget Sound area. 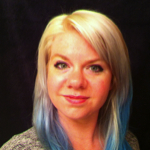 Hailing from Idaho, Leah brings a vast and varied background in theatre and education. As a painfully shy and scared youngster, Leah surprised herself and her family when she took to the stage and exploded with an unknown confidence. Since receiving her Bachelor of Arts degree in Theatre Performance from Boise State University, she has had the privilege of performing, writing, directing, and teaching with several theatre groups and companies throughout Idaho. After relocating to Washington, she delightedly found Drama Kids to be the perfect place for her energetic and eclectic style of education.With a passion and hunger for all forms of art, Leah strives to infect others with her love for theatre. Kelli is an Eastside native with a passion to work with kids. She comes from a strong teaching and mentoring background. Kelli graduated from Western Washington University with a BA in Human Services. She is currently a Paraeducator in the Lake Washington School district working with elementary students with special needs. She also has a solid background in Drama and experience as a vocalist that have made her quite comfortable with the stage. Her positive, enthusiastic and bold personality alongside her passion for teaching help Kelli to create a fun and engaging classroom environment that your kiddos are sure to enjoy!